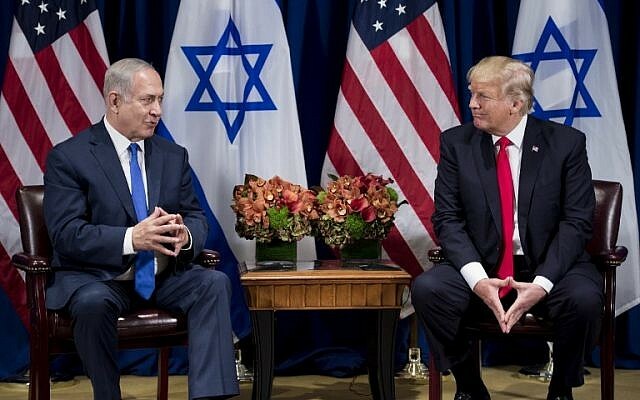 US President Donald Trump’s administration has begun drafting an Israeli-Palestinian peace proposal based on a two-state solution, officials and analysts quoted by The New York Times said on Saturday. A senior White House adviser said Trump’s Mideast peace plan will attempt to tackle hot-button issues such as the status of Jerusalem and West Bank settlements. 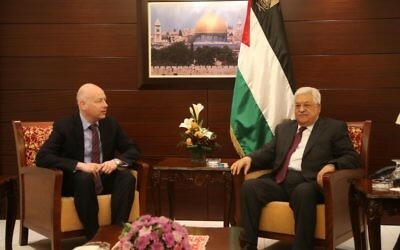 The framework, which could “take until early next year” to finalize, will not impose a timeline for the negotiations. White House advisers drafting the plan include Greenblatt, Trump’s son-in-law and chief Middle East adviser Jared Kushner, Deputy National Security Adviser for Strategy Dina Powell, and US Ambassador to Israel David Friedman, the newspaper reported. The four-member team is reportedly also consulting with State Department officials along with US Consul General in Jerusalem Donald Blome. The Times report suggested that all sides might need to agree to confidence-building measures to get the process moving. “For Israel, it could include limiting settlement construction to current blocs without taking new land, recommitting to a two-state solution and redesignating a small part of the West Bank to give Palestinians more control,” the report said. The Trump administration has made clinching an Israeli-Palestinian peace deal a priority, while stressing negotiations would take time and refraining from strong criticism of Israeli settlement activity. Last month, Kushner paid a secret visit to Saudi Arabia, his fourth to the region in under a year, to discuss the peace efforts. 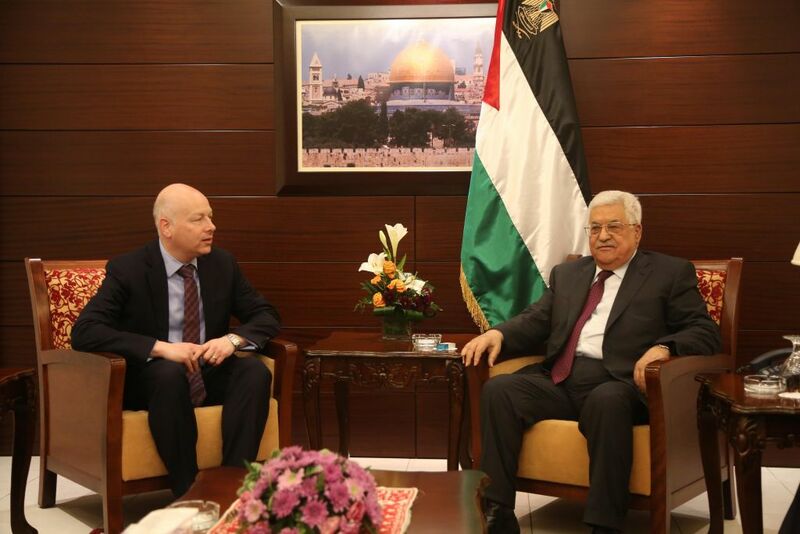 Greenblatt has also traveled to the region numerous times to meet with Israeli, Palestinian, Egyptian, and Jordanian officials. Trump has previously distanced himself from the decades-old stance of previous administrations in support of a two-state solution and has said it will be up to the parties to decide on the outcome of a negotiated settlement. Late last month, a senior White House official issued a lengthy defense of ongoing efforts by the Trump Administration to restart talks between Israel and the Palestinians. “As President Donald J. Trump has clearly stated, he is personally committed to achieving a peace deal between Israelis and Palestinians that would help usher in an era of greater regional peace and prosperity. A few months ago, the president directed his advisers to continue discussions with regional partners about how best to support the peace effort,” the official said. But a senior White House official told The Times of Israel later that there were “no imminent plans” to reveal a talks outline. Reports have proliferated in recent months that the administration is putting together a proposal, asking both the Israeli and Palestinians to hold off on any unilateral or inflammatory moves that could endanger any peace effort before it is given a chance to get off the ground. 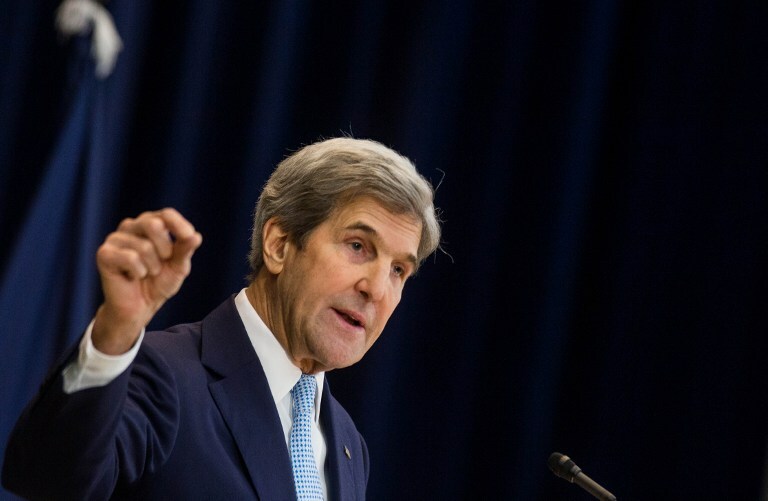 The peace process between Israel and the Palestinians has been comatose since 2014, when a US push championed by secretary of state John Kerry collapsed amid mutual recriminations. In recordings released last week, Kerry blamed the Israeli government’s resistance to the establishment of a Palestinian state for harming the prospects of a peace deal, while warning Israel could face a future violent Palestinian uprising if there was no progress in peace talks.